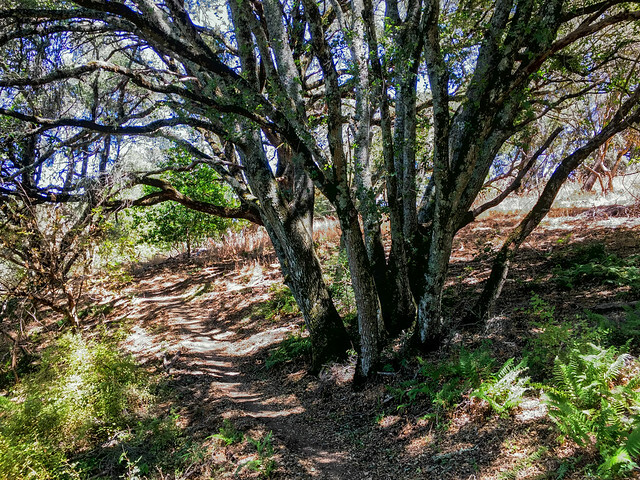 I missed Friday morning’s docent-led hike to this preserve, but later in the day I decided to go alone anyway. 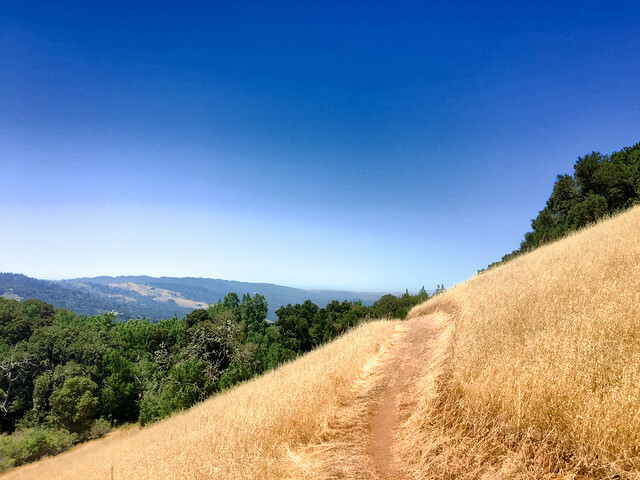 It was probably a bad decision to hike during the hottest time of the day. 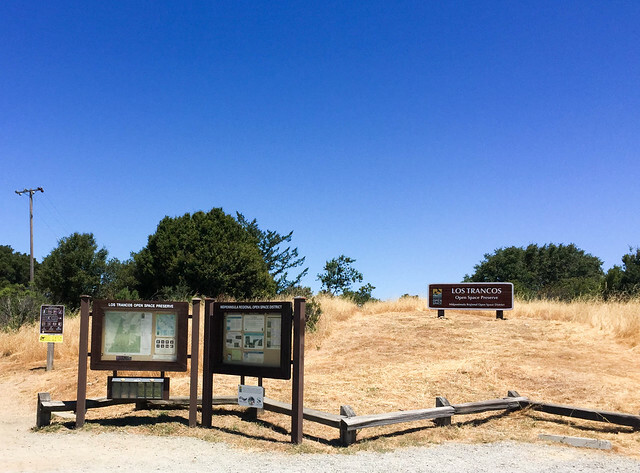 And because I ran out of water in the later part of the hike, I had to skip the San Andreas Fault Trail, the most noteworthy spot to visit in this preserve. Parking Lot: Los Trancos Open Space Preserve Parking Lot. 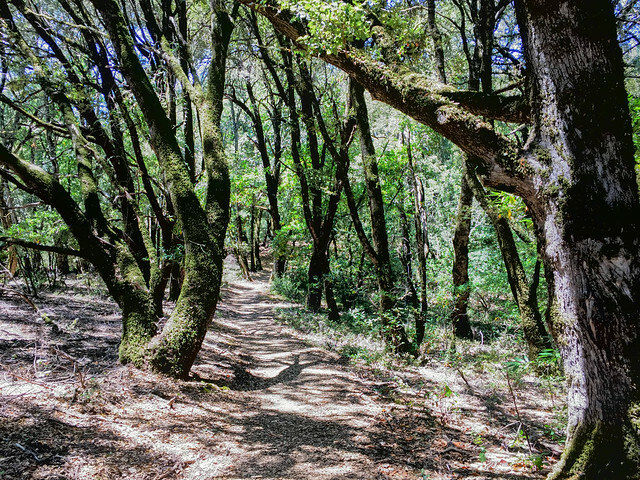 There is ample space here or one could park at Monte Bello Open Space Preserve, directly across the Page Mill Road. Restroom: None here. 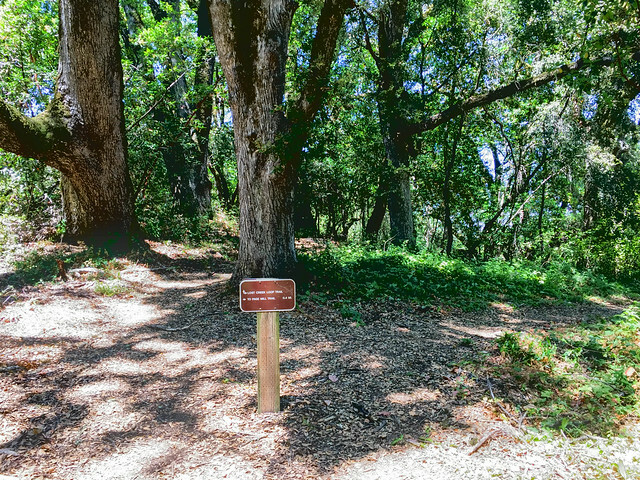 There is one at Monte Bello Open Space Preserve, directly across the Page Mill Road. 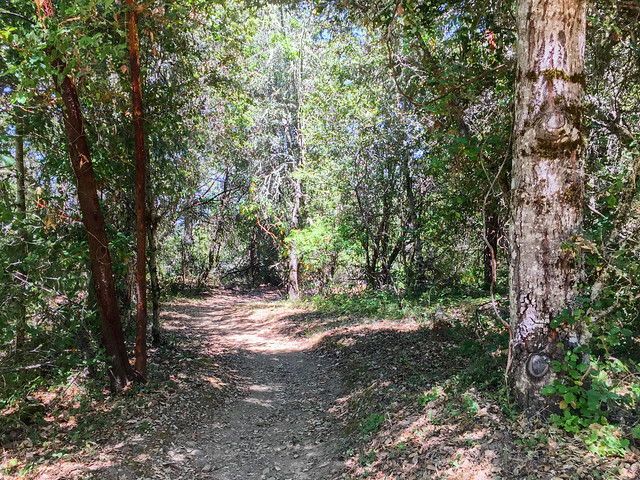 Trailhead: There are two trailheads next to the parking lot, one straight up, next to the preserve name and map and the other to the left. 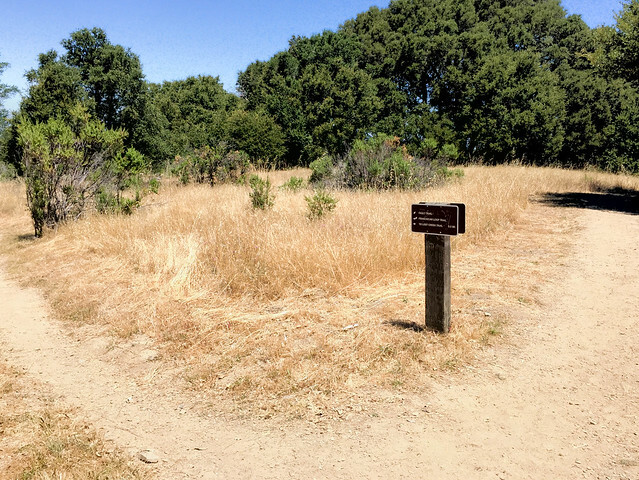 Trails from both the trailheads are named Franciscan Loop Trail and they both converge after a little distance. Exposure: Mostly exposed (Page Mill Trail is completely exposed). 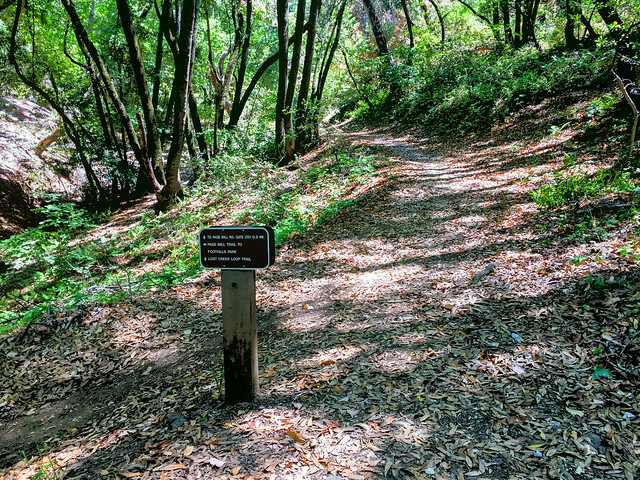 Note: The San Andreas Fault Trail is on this last leg of Franciscan Loop Trail. 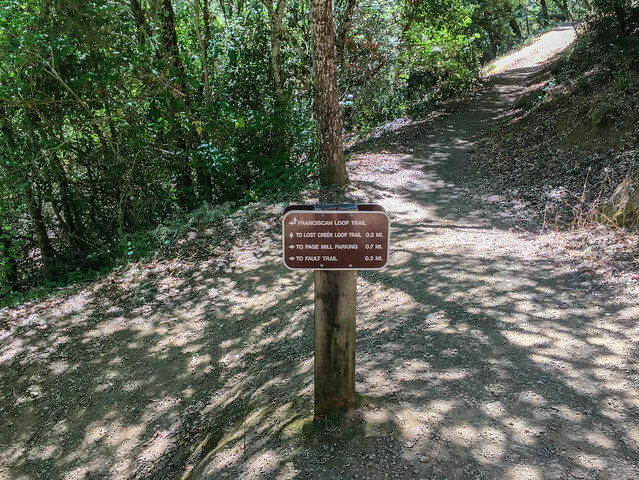 You can do it either at the end or begin the hike with this stretch of Franciscan Loop Trail to get to the San Andreas Fault Trail. 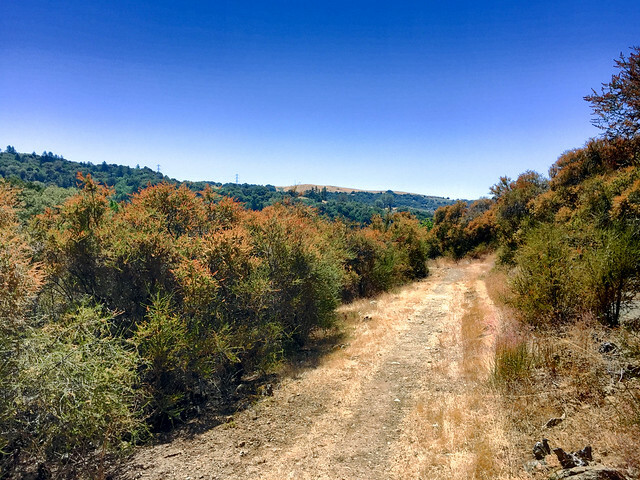 I had to skip the San Andreas Fault Trail in this trip because I had run out of water and was very tired from the heat.